Let's Have a Cookie Party! Everyday Apps for Life Stuff! I've been teaching for twenty-six years with the past thirteen as an Instructional Technology Coach. I've taught at many different schools and seen technology boom in our county. I am currently in middle school. This website is a product of my research, experience and application with my own students. Included are student samples created by both myself and my students, lesson plans, and plenty of apps to sort through. If you are looking for something special you may find it here! There isn't enough money or time in the day to use or purchase everything you want but I've tried to highlight some favorites. I hope this site helps you with some ideas and purchases. Have Purpose - Don’t put the cart before the horse! 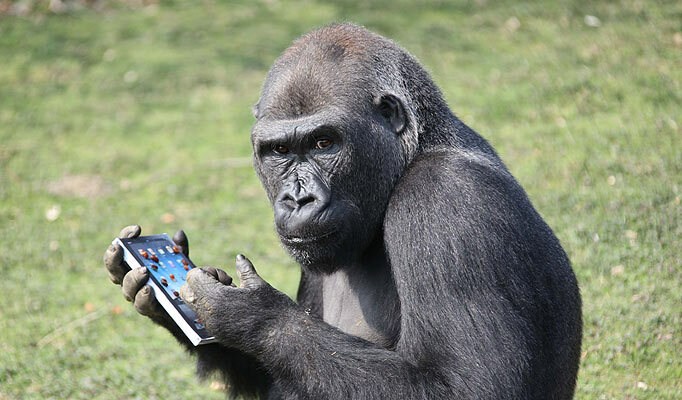 Your school has decided to take the plunge and invest in ipads/tablets. Unfortunately, many schools are so busy trying to keep up appearances and be able to show-off their technology to parents, that they fail to put to into place a plan for their newly acquired gadgets. Sadly, this can lead to the success of the initiative. 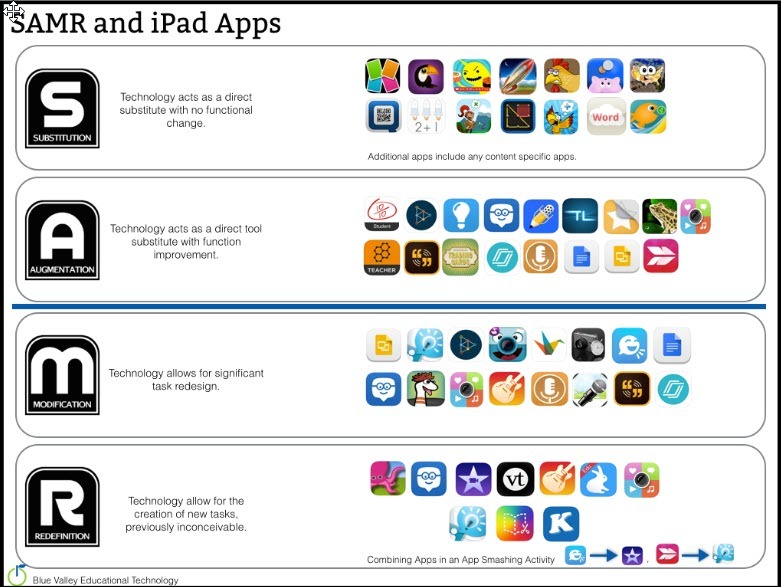 EdTechTeacher has been leading iPad professional development and have seen up-close and personal critical mistakes schools have made to iPad integration. Using mobile devices with appropriate apps, will provide students the opportunity to acquire knowledge in meaningful contexts while infusing the SAMR model. This model is from the Blue Valley Educational Technology Site. Infusing technology, to include the use of animation apps, with student learning has proven to be a successful method for retaining information. The activities demonstrated throughout this presentation supports ‘The Fundamental Multimedia Principle’ which means, information is more effective when presented in words and pictures than words alone (Mayer, 2005). Research has shown that the brain processes information using two channels: visual and auditory. The brain can accommodate more information when it is presented both visually and aurally. 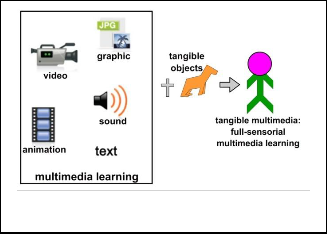 By taking advantage of this multimodal processing capability, we can dramatically enhance student learning through multimedia instruction.